If I told that I haven’t cut my hair since July of 2017, would you believe me? As someone who’s invested quite a bit of time, energy & money into maintaining her hair and religiously booking color & cut appointments every 3-4 months at my beloved Fox & Jane, it may come as a shock that I am LONG overdue for a haircut. The result–oily roots & super dry damaged ends! If you have fine hair and the description above matches your current hair story then I have a feeling you are going to LOVE today’s post! While I’m still trying to get my foot in the door of my favorite salon, I’ve discovered a system and a set of products that have taken me from washing my hair every single day to washing my hair every 3-4 days (AMAZING!) without feeling like a total greaseball and completely stripping my hair of its natural oils! Best of all–every single product is CRUELTY-FREE! ?? Why I love it: Aside from ALL Amika products smelling INCREDIBLE, their anti-static Silken Up Dry Conditioner is perfect for weightlessly conditioning your hair, which is amazing for us fine haired babes! If you’re looking to soften and smooth your hair (especially those split ends) between washes, this is the product for you! 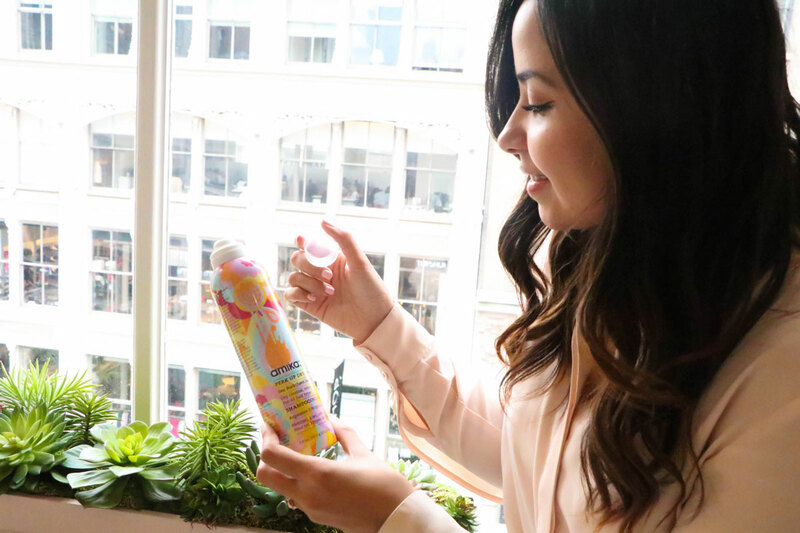 How I use it: On my second or third day DRY hair, I focus the Silken Up dry spray on the mid-length to the ends of my hair and style as desired, which helps smooth those dry, split ends and restore softness & shine! Why I love it: If your hair is looking/feeling tired and dull, Amika’s Oil Treatment will QUENCH your hair’s thirst right before your eyes! Rich in amazing ingredients that achieve wonders in replenishing and nourishing your hair, this non-greasy formula comes complete with natural UV protection from environmental & sun damage! Frizz the bane of your existence? You are going to be HOOKED on this serum! How I use it: I take about a dime sized of this powerful treatment and work through the ENDS of my just-washed, damp hair. I’ll then let my hair air dry for as long as possible before blow drying! If my hair is in dire need of some lovin’, I’ll take the teeniest bit of oil and apply to the very ends of my hair before bed and tie my hair up in a loose bun for an overnight boost of hydration. *Bedtime tip: Invest in a silk pillowcase! I’ve wanted one for year’s and never made the investment. I was recently gifted one and have seen a big difference in the appearance of the ends of my hair. Silk pillow cases reduce the friction and damage on your hair as you sleep, while your standard pillow case can cause breakage to your hair and amplify split ends. I have definitely noticed an improvement and can’t recommend purchasing one enough! Why I love it: An award-winning cult favorite! 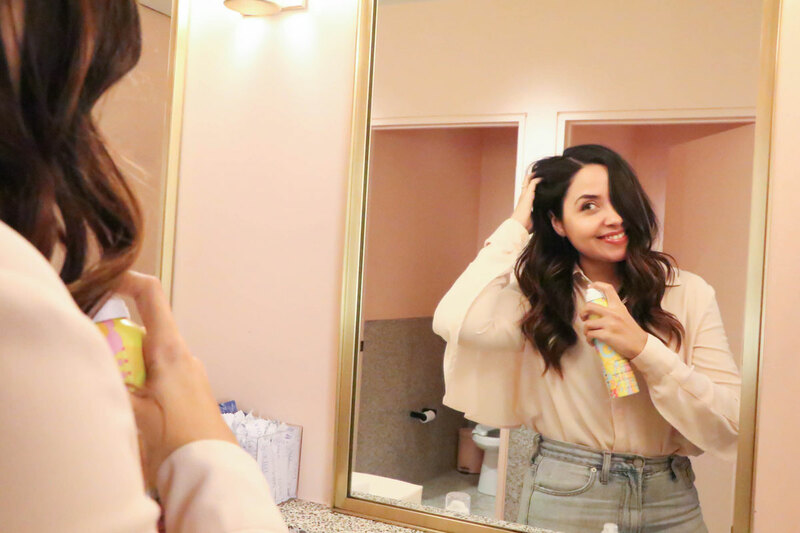 Amika’s Perk Up Dry Shampoo is 1 of 3 reasons* why I’m able to get away with going 2-3 days without washing my hair and not feeling like my hygiene is questionable! This lightweight talc-free powder helps absorb the oil at my roots and refreshes the look of my hair using natural rice starch. This product helps bring my hair back to life by adding volume & texture to my otherwise limp hair! How I use it: On 2nd and 3rd day hair, I’ll spray this dry shampoo focusing on the roots of my hair, let sit for a few minutes and then begin to massage the product into my scalp and under sections of my hair. I then follow-up by quickly brushing through my hair to distribute the product throughout my hair. Why I love it: Think of this mask as moisturizer for your hair! Amika’s nourishing mask replenishes, deep conditions, hydrates and restores dry hair as close as possible to it’s natural vibrancy! The jojoba seed oil is the star of the show! This ingredient helps penetrate through the hair follicle, fills in cracks on the cuticle surface, which then strengthens the hair from the inside out! It’s also packed with natural antioxidants that are not only known to repair the hair, but also stimulate hair growth! How I use it: I use this product as my regular conditioner! After shampooing my hair, I’ll apply about a tablespoon sized amount of the Nourishing Mask to my hair focusing on the mid-length to ends (this is the trick to prolonging the longevity of the volume at the roots of your hair while nourishing your ends), let sit anywhere from 5-10 minutes while I shower and rinse with lukewarm water. Why I love it: Looking to add even more oomph to your hair or extend the life of yesterday’s hairstyle? 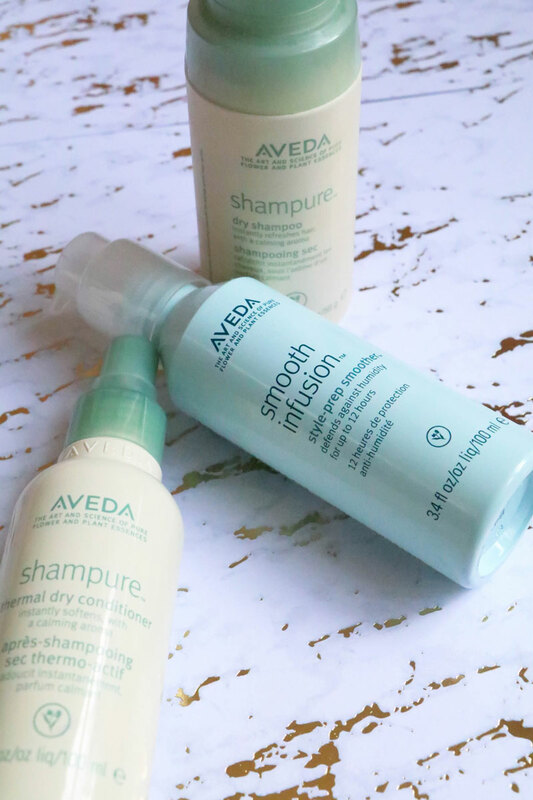 Pretty please get your hands on Aveda’s Shampure Dry Shampoo! This non-aerosol powder will instantly transform, refresh and revive your hair unlike any dry shampoo spray I’ve ever used and is 99.8% naturally derived! 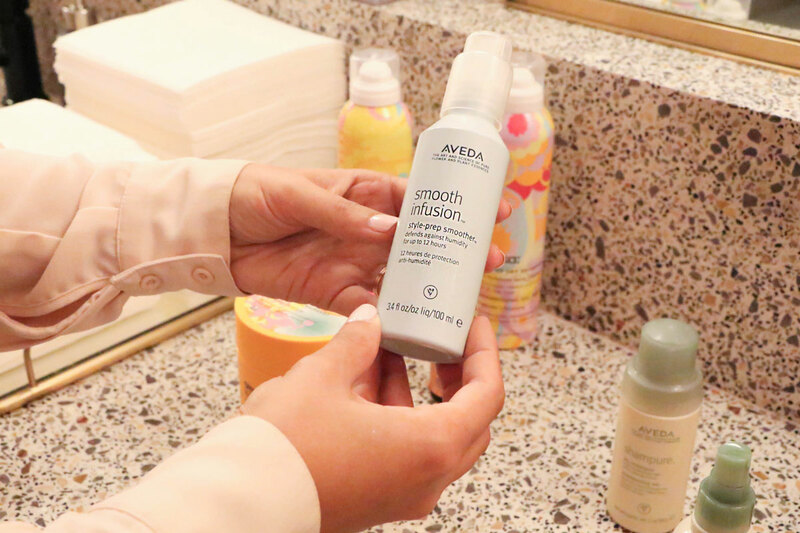 How I use it: I personally prefer not to apply this product directly to my roots as the nozzle can release a little too much product than I’d like at times. To better control the desired amount, I like to pour the powder into my hands, place onto my fingertips and massage into the areas of my roots that could use some serious lifting! Why I love it: I like to think of this product as the husband to Aveda’s Shampure Dry Shampoo! I love how this mist spray conditions, detangles & softens my hair in between washes without weighing my hair down! How I use it: I enjoy using this product as both a detangler when a rat’s nest has formed on the back of my head (hey! it happens! ?) and to gently rid my hair of knots at my ends! It’s also great for locking in moisture before any heat styling! I love using this before curling my hair with my trusty ghd Curve Creative Curl Wand for those gorgeous tousled waves you’ll likely find me sporting when I want to add volume & life to my 2nd or 3rd day hair! Why I love it: I LOVE how smoothing this product is, which significantly decreases the amount of blow dry and style time I spend on my hair. I have wavy-straight hair that I don’t typically feel confident wearing completely air dried, but the Infusion Style Prep Smoother makes my hair look and feel much more presentable with minimal styling! It also helps defend against humidity and protects against surface damage from heat styling! 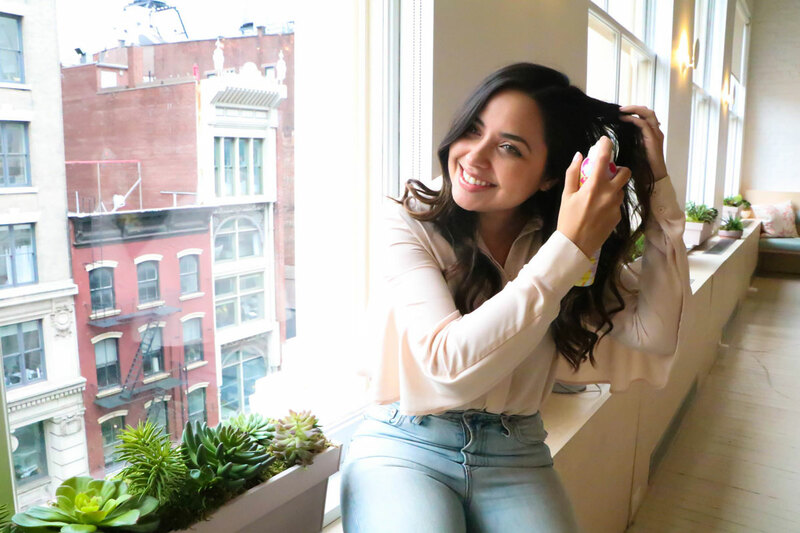 How I use it: I apply 1-2 pumps to my just-washed damp hair focusing on the mid-length and ends and moderately along the scalp and let air dry for as long as possible before adding any heat! Easy peasy! What are some of your favorite cruelty-free products to combat dry damaged hair? I love Bumble and Bumble Invisible Oil and Amika’s Dry Shampoo. I would love to try Amika’s Nourishing Oil. My favorite Amika products are the dry conditioner and the hair mask – I can’t pick between the two. 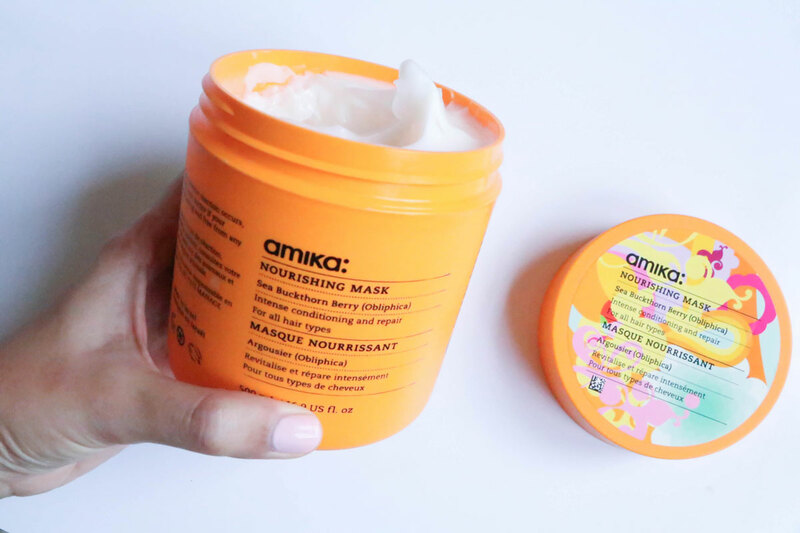 The Amika hair mask is so amazing! All of their projects smell so good and do wonders for dry ends. I love using coconut oil as a hair mask in a pinch. I love using the Amika blowout spray on the daily to add some volume! I’m very excited to try their dry shampoo! I’ve been dying to try the silken conditioner! I actually really love Oribe’s dry texturizing spray. It’s like a dry shampoo/volumizer. I spray it towards my roots for some good lift, and it takes the grease out too! 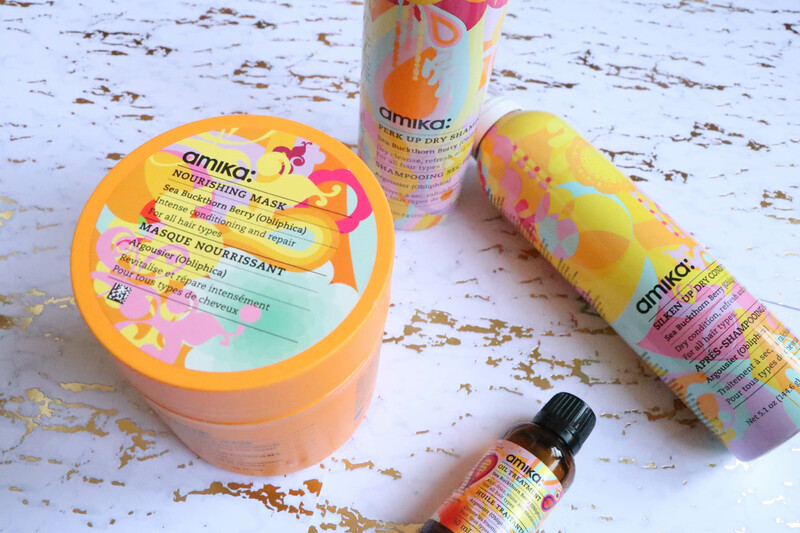 If I had to pick an Amika hair product I’d be most excited to try I’d have to say the hair oil! My hair gets so dry! And I see it has UV protection which is great because I am always worried about sun damage. I see it’s beinf discontinued though! Bummer ! My obsession is the amika perk up dry shampoo. I love getting away with an extra day of not washing my hair.